In this tutorial you will go through the steps involved in using Facebook’s Graph API to get a user’s username when interacting with a chatbot on a Facebook Page integrated with Watson Assistant. 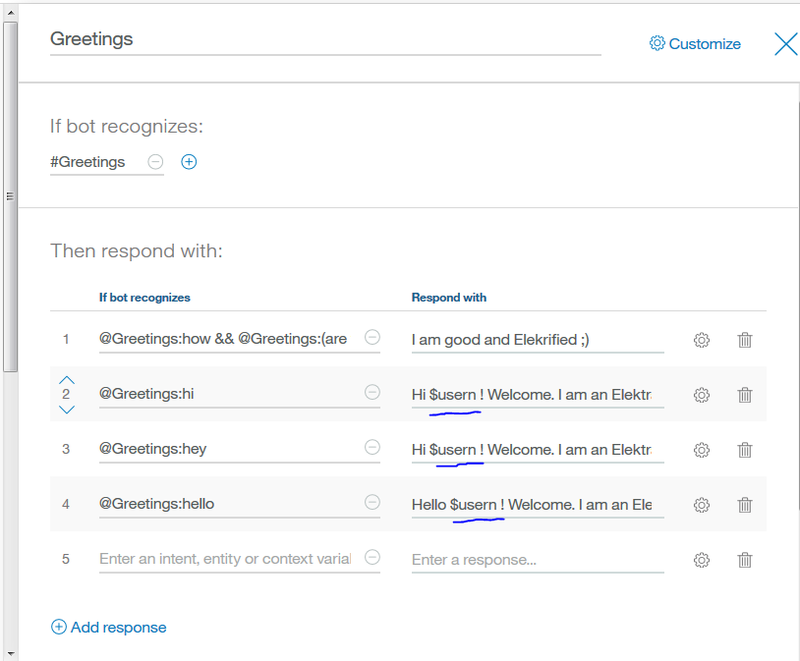 The extracted username will be used to set the context of the Watson Assistant so that the bot responds with the name of the user. Before starting this guide you can refer to the Integrate Watson Converstion with Facebook Page using Node-RED to learn how to integrate the various pieces. Set the URL of the HTTP request node from a function. Make API calls from within Node-RED environment. 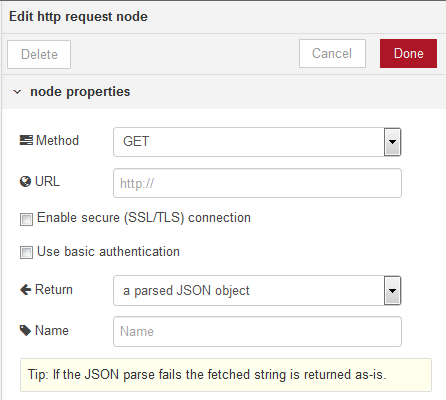 Make the HTTP request node return the result in a parsed JSON. Access the JSON for the relevant information. Set params of Watson Assistant Node from Node-RED function. Knowledge of Node-RED flows and nodes. 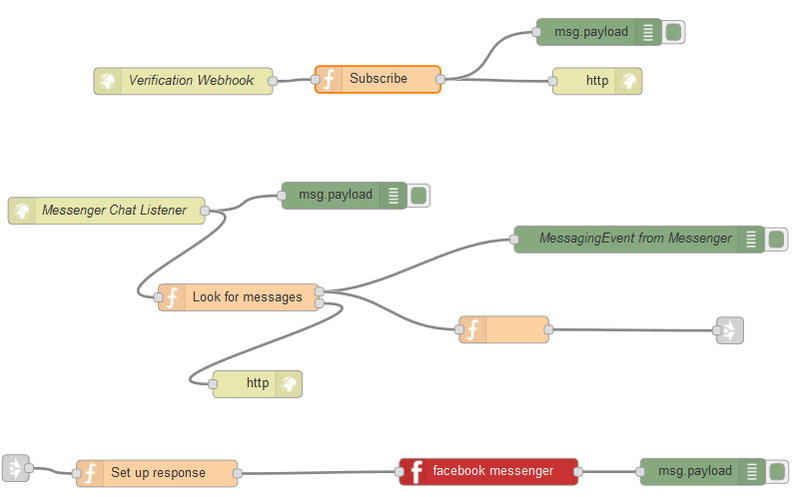 Gone through the previous how-to, Integrate Watson Assistant with Facebook Page using Node-RED, as this how-to guide uses the same Node-RED flows. Assuming the prerequisites are completed prior to performing the steps in this tutorial, then going through it should take around 30 minutes. In this code, we first extract the user ID from the entry array that we receive while listening to messages. Then, we are calling Facebook’s Graph API by setting msg.url, but we also add in the recently extracted user ID and our access token to the URL. This context will be sent to the http request node to call the API and get the response. The only change we need to make to the http request node is to change the return type to a parsed JSON object, as shown below, perform this by double-clicking the node. Now when interacting with the Facebook page messenger we can have a custom greeting and proper responses when chatting with users! In this guide, we learned how to use Facebook’s Graph API to extract the username and how to modify Node-RED to pass this information to the Watson Assistant service as a context variable. Guide to buiding chatbot with Watson Build a simple IT support help-me conversation chatbot. The chatbot streamlines IT support queries by automating the dialog flow. Node-RED Programming Guide Read the programming guide. Guide for integrating Watson Assistant workspace with the Facebook page using Node-RED.